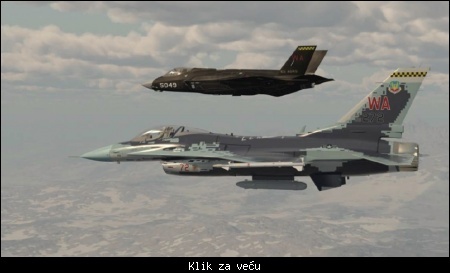 Znaci F35I Adir leti iznad Libana u pratnji F16tice bez operativnog radara. Vi ste veoma strucni u ovome sto pisite ali ljudska logika ne daje mi da shvatim ko salje avion sa neoperativnim radarom u pratnji a jedino sta je koristio tokom pratnje je bas taj radar. p.s da li je moguce preko datalinka 16 slati podatke PVO baterijama ? Flight III Arley Burke dobija AESA radar AN/Spy-6, Japanci u svoje ABe imaju cini mi se AESA radar. Za to vreme ni jedan od ispitivanih radara nije smeo da "postane" neoperativan. Tek nakon toga (naravno i drugih ispitivanja) radar je proglašavan operativnim. Gore spomenute krtiterijume današnji AESA radrai ni u snu ne mogu da postignu čak ni približno. Što se tiče izraelskih F-35 njihovi radari rade sa smanjenom snagom (verovatno oko 40% dozvoljene) a za zadatke za koji su predviđeni i oni i F-16 to nije bitno jer su pokriveni AWACS avionima. Po iskustvima US Navy pri redovnom patroliranju dežurnih para sa nosača aviona sa vionima F-18 kod svakog četvrtog aviona otkaže radar tokom patrole premda već rade na smanjenoj snazi. PS Prvi Flight III Arley Burke će biti dovršen u najboljem slučaju 2023. godine a postati operativan oko 2025. godine. Da se ne ponavljam budućnost pripada AESA radarima i to nije sporno. Pravo pitanje je koliko su oni stvarno operativni danas. 1. This sale involves the release of sensitive technology to Slovakia. The F–16 V Block 70/72 weapon system is UNCLASSIFIED, except as noted below. The aircraft uses the F16 airframe, and features advanced avionics and systems. It contains the General Electric F110 engine or Pratt & Whitney F100 engine, AN/APG–83 radar, digital flight control system, internal and external electronic warfare (EW) equipment, Advanced Identification Friend or Foe (AIFF), LINK–16 datalink, operational flight trainer, and software computer programs. 2. The AN/APG–83 is an Active Electronically Scanned Array (AESA) radar upgrade for the F–16. It includes higher processor power, higher transmission power, more sensitive receiver electronics, and synthetic aperture radar (SAR), which creates higher-resolution ground maps from a greater distance than existing mechanically scanned array radars (e.g., APG–68 ). The upgrade features an increase in detection range of air targets, increases in processing speed and memory, as well as significant improvements in all modes. The highest classification of the radar is SECRET. 3. AN/ALQ–211 AIDEWS provides passive radar warning, wide spectrum radio frequency jamming, and control and management of the entire EW system. The commercially developed system software and hardware is UNCLASSIFIED. The system is classified SECRET when loaded with a U.S. derived EW (threat) database. 4. The AN/APX–126 AIFF is a system capable of transmitting and interrogating via Mode 5. It is UNCLASSIFIED unless Mode 4 or Mode 5 operational evaluator parameters are loaded in to the equipment. Classified elements of the AIFF system include software object code, operating characteristics, parameters, and technical data. 5. The Embedded GPS–INS (EGI) LN–260 is a sensor that combines GPS and inertial sensor inputs to provide accurate location information for navigation and targeting. The EGI LN–260 is UNCLASSIFIED. The GPS crypto-variable keys needed for highest GPS accuracy are classified up to SECRET. 6. Multifunctional Information Distribution System (MIDS) is an advanced Link–16 command, control, communications, and intelligence (C3I) system incorporating high- capacity, jam-resistant, digital communication links for exchange of near real-time tactical information, including both data and voice, among air, ground, and sea elements. The MIDS terminal hardware, publications, performance specifications, operational capability, parameters, vulnerabilities to countermeasures, and software documentation are classified CONFIDENTIAL. The classified information to be provided consists of that which is necessary for the operation, maintenance, and repair (through intermediate level) of the data link terminal, installed systems, and related software. 7. Joint Helmet Mounted Cueing System (JHMCS II) is a modified HGU–55/P helmet that incorporates a visor-projected Heads-Up Display (HUD) to cue weapons and aircraft sensors to air and ground targets. This system projects visual targeting and aircraft performance information on the back of the helmet’s visor, enabling the pilot to monitor this information without interrupting his field of view through the cockpit canopy. This provides improvement for close combat targeting and engagement. Hardware is UNCLASSIFIED; technical data and documents are classified up to SECRET. 8. The Improved Programmable Display Generator (iPDG) and color multifunction displays utilize ruggedized commercial liquid crystal display technology that is designed to withstand the harsh environment found in modern fighter cockpits. The display generator is the fifth generation graphics processor for the F–16. Through the use of state- of-the-art microprocessors and graphics engines, it provided orders of magnitude increases in throughput, memory, and graphics capabilities. The hardware and software are UNCLASSIFIED. 15. AIM–120C7 Advanced Medium Range Air-to-Air Missile (AMRAAM) is guided missile featuring digital technology and micro- miniature solid-state electronics. AMRAAM capabilities include look-down/shoot-down, multiple launches against multiple targets, resistance to electronic countermeasures, and interception of high- and low-flying and maneuvering targets. The AMRAAM All Up Round is classified CONFIDENTIAL; major components and subsystems range from UNCLASSIFIED to CONFIDENTIAL. Technical data and other documentation are classified up to SECRET. The AIM–120C7 is launched from the aircraft using a LAU–129 guided missile launcher. The LAU–129 provides mechanical and electrical interface between missile and aircraft. The LAU–129 system is UNCLASSIFIED. 16. AIM–9X 11 SIDEWINDER missile is an air-to-air guided missile that employs a passive infrared (1R) target acquisition system that features digital technology and micro- miniature solid state electronics. The AIM– 9X II All Up Round is CONFIDENTIAL, major components and subsystems range from UNCLASSIFIED to CONFIDENTIAL, and technical data and other documentation are classified up to SECRET. The AIM–9X tactical and Captive Air Training Missile guidance units and Tactical Units are subsets of the overall missile. 17. M61 20mm Vulcan Cannon: The 20mm Vulcan cannon is a six barreled automatic cannon chambered in 20x 120mm with a cyclic rate of fire from 2,500–6,000 shots per minute. This weapon is a hydraulically powered air cooled gatling gun used to damage/ destroy aerial targets, suppress/incapacitate personnel targets and damage or destroy moving and stationary light materiel targets. The M61 and its components are UNCLASSIFIED. 18. The SNIPER (AN/AAQ–33) targeting system is UNCLASSIFIED and contains technology representing the latest state-of- the-art in electro-optical clarity and haze, and low light targeting capability. Information on performance and inherent vulnerabilities is classified SECRET. Software (object code) is classified CONFIDENTIAL. Overall system classification is SECRET. 19. This sale will also involve the release of sensitive and/or classified cryptographic equipment for secure communications radios, precision navigation with anti-jam capability, and cryptographic appliques and keying equipment. The hardware is UNCLASSIFIED, except where systems are loaded with cryptographic software, which may be classified up to SECRET. 20. Software, hardware, and other data or information, which is classified or sensitive, is reviewed prior to release to protect system vulnerabilities, design data, and performance parameters. Some end-item hardware, software, and other data identified above are classified at the CONFIDENTIAL and SECRET level. 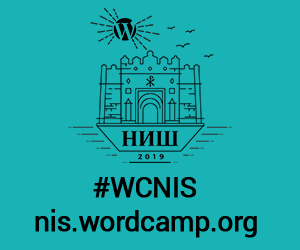 Potential compromise of these systems is controlled through management of the basic software programs of highly sensitive systems and software-controlled weapon systems on a case-by-case basis. 21. If a technologically advanced adversary were to obtain knowledge of the specific hardware or software source code in this proposed sale, the information could be used to develop countermeasures which might reduce weapon system effectiveness or be used in the development of systems with similar or advance capabilities. The benefits to be derived from this sale in the furtherance of the US foreign policy and national security objectives, as outlined in the Policy Justification, outweigh the potential damage that could result if the sensitive technology were revealed to unauthorized persons. 22. This sale is necessary in furtherance of the U.S. foreign policy and national security objectives outlined in the Policy Justification. Moreover, the benefits to be derived from this sale, as outlined in the Policy Justification, outweigh the potential damage that could result if the sensitive technology were revealed to unauthorized persons. 23. All defense articles and services listed in this transmittal are authorized for release and export to the Government of Slovakia. Mislim da su AESA radari još uvek problematični za potpuno efikasnu i dugotrajnu upotrebu. Mislim da je budućnost (barem kod Rusa) u razvoju DAESA radara, odnosno digitalnog AESA radara gde će svaki modul biti opremljen svojim malim procesorom. Glavni problem kod AESA radara je razvoj same pravilne geometrije predajno-prijemnih modula (PPM), njenih performansi (maksimalna učestanost, maksimalna snaga, minimalni gubici), kao i tehnologije osvajanja novih materijala za upotrebu u elektronici ove vrste je pravilno hlađenje u trajnom radu. Naime, elementi se pregrevaju (elektronika na bazi silicijuma u specijalnim slučajevima trpi do 150 stepeni Celzijusa, ali se koriste neki novi materijali još veće termičke otpornosti) i tu nisu problem sami PPM, nego sva ona elektronika iza njih. Elementi su sve manji, a svaki radi kao sijalica sa užarenim vlaknom. Sve teže je dopreti rashladnim sistemom do njih i efikasno "izvući" toplotu iz njih. Dakle, problem koji je pre deset godina bio aktuelan je i dalje aktuelan. Citat:A newly-launched prototyping program could lead to a fleet-wide electronic warfare upgrade for the U.S. Air Force’s more than 900 F-16s. The proposed upgrades could include a full suite of passive and active systems, including a digital radar warning receiver, self-protection jammer and towed decoy, acquisition documents released on Jan. 3 by the Air Force Research Laboratory say. Although once expected to be replaced by the Lockheed Martin F-35, the Air Force now wants to make sure the singled-engine F-16 fleet is relevant up to 2046. In December, the Air Force briefed industry officials on a 15-year-long upgrade strategy that begins with a prototyping phase this year. The Air Force wants to select two vendors to build prototypes of a digital radar warning receiver with increased frequency bandwidth and an enhanced capability to detect the position of radio frequency emitters. If the prototypes are successful, the Air Force plans to begin fielding the new upgraded emissions detector starting at the end of 2021. Two years later, the Air Force could extend the upgrade to active electronic warfare systems, including a new, internally-mounted self-protection jammer and upgraded towed decoy. The Air Force’s acquisition strategy calls for using prototypes rather than the traditional acquisition process in order to cut 4 1/2 years from the development process, the service says. Samo da mi je znati kako su dosli do brojke preko 900 F16tica . po svim izvorima sto sam procitao brojka je oko 750 .. Problem je sto se cesto izvodi pogresan zakljucak. Npr F-18 ili MiG-35 kubure sa radarom (ovaj zadnji ga jos nema) pa AESA radari jos uvek nisu zrela tehnologija (iako svi hoce da iste imaju). Pri tome uopste ne ulaze u strucnu analizu sta je problem. Npr da nije problem to sto pokusava da se ugraditi vreo radar u lovce koji i nisu trebali uopste da dobiju takve radare jer je kad su nastali planiralo se da budu penzionisan za dve decenije? Zasto npr MiG-29 nikad nije dobio PESA radar? Dobrim delom i zbog hladjenja. Lako je na Su-27 varijanti ugraditi PESA/AESA radar iako nije bio predvidjen, jer imas prostora koliko hoces u zmaju slicna prica i sa F-15 (npr kod F-15 problema nema iako radar slican radaru koji je u F-18 ) ali kad treba upokovati radar u MiG-29, F-18 i F-16 eto problema. 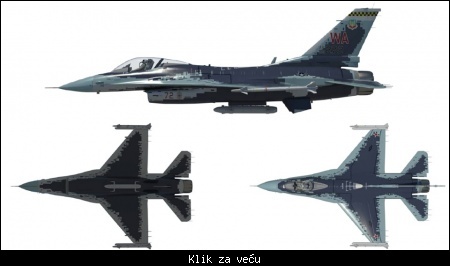 Zato je Nortrup prvo krenuo da vidi sta moze da ohladi postojece hladjenje obicnih F-16 pa prema tome radio SABR radar. Citat:Polyalphaolefin (PAO) coolant is cycled through the avionics in two loops, then through the air cycle cooler (bleed air driven) and then through heat exchangers in the wing tanks, dumping waste heat into the wing tank fuel. The fuel acts as a heat sink, but itself is cooled by the Thermal Management System (TMS), using an air inlet between the fuselage and inboard inlet edge to dump heat from a fuel system heat exchanger. Pre četiri godine su me zvali iz jedne naše sestre kompanije da se kod njih angažujem na razvoju novog sistema za hlađenje za energetsku elektroniku, a tada sam baš bio najdublje u temi elektromagnetno-termotehničkog optimiranja i ostvarivao najbolje rezultate. Tada sam imao baš dobre ideje za ovo polje angažovanja. No, međutim moja firma je stavila zabranu na transfer u sestru kompaniju, jer je kod nas nastao problem sa gubitkom inženjerskog jezgra za velike generatore. Tada se mnogo govorilo o aktuelnosti ove teme u svetu. Želja mi je bila da zaokružim svoje znanje sa upravo ovom temom. Vreme će pokazati, imam li šansi da se nađem u toj temi, a veoma je izazovna. Mislim da su ruski naučnici već poprilično napredovali na tom planu. Citat:Lockheed Martin has brought to Philippines an F-16 Block 70/72 flight simulator for Philippine Air Force (PAF) pilots to experience the F-16. 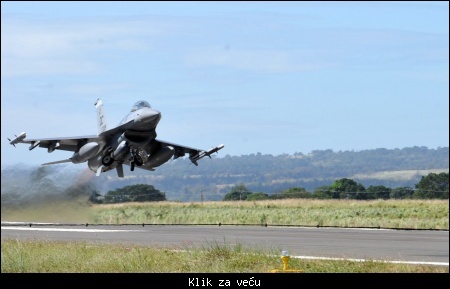 Citat:On 17 Jan'19, a contingent of USAF F-16Cs arrived at the Cesar Basa air base (Philippines) to participate in the the Bilateral Air Contingent Exchange-Philippines (BACE-P).